If you want to lease a new fuel-efficient Honda car or finance a fuel-efficient Honda sedan, the sales and finance teams at Legends Honda are ready to assist. Honda engineers specialize in providing Kansas City drivers with fuel-efficient Honda vehicles, including eco-friendly hybrid models and fuel-sipping Honda sedans that can help you save time and money at the gas station. Discover which fuel-efficient Honda car is right for you, then visit our Honda dealership near Kansas City, MO, to test-drive some of your favorite Honda sedans. There are endless possibilities with the new Honda car lineup at our Kansas City Honda dealership. 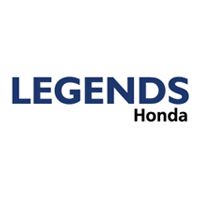 Buy or lease a Honda sedan or hybrid at Legends Honda!